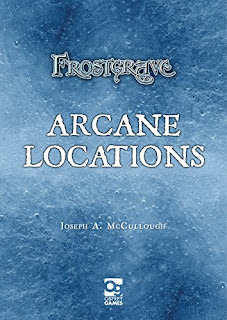 The newest Frostgrave ebook, mini-supplement, Arcane Locations is out today. 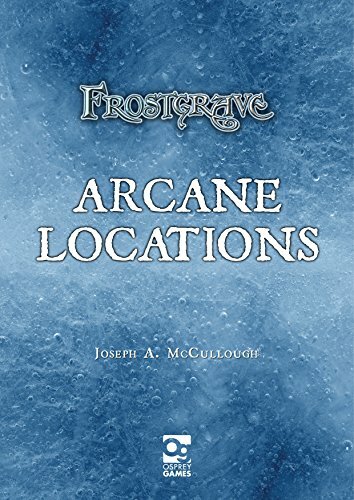 This is the last of the ebooks before they are collected into The Frostgrave Folio next year. Also included are some new options for wizards to add to their bases. I mean what kind of wizard base is complete without a magic scroll case? Recently, I had that experience with a little game called Quill: A Letter-Writing Roleplaying Game for a Single Player. In all my decades of gaming, I've never encountered anything quite like it. It's part game/part creative writing exercise. Essentially, the player creates a character who has three skills: penmanship, language, and heart. Then, the player picks a 'scenario'. 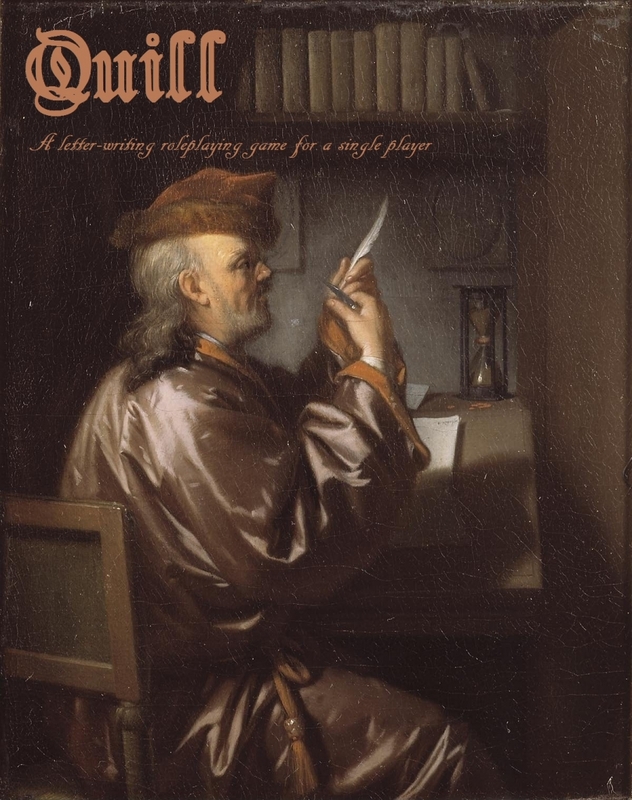 Each scenario challenges the player to write a letter. It gives the specifics of the recipient and what the player hopes to gain by writing. Each scenario also includes a list of words that the player gains points by including in the letter, there are both common words and more poetic words. Whenever a player wants to use one of the words, he must roll to see if he uses the more common or more poetic word. The skills give him bonuses to certain rolls. And that's about it really. At the end of the letter, the player counts up how many points he has scored and checks the chart to see what kind of reception his letter received. It is wonderfully simple, and yet endlessly creative. I am very tempted to ask the creator if I can write a few Quill: Frostgrave scenarios. How much fun would it be to have your wizard writing to some far off mage asking for help or advice on a potion or particularly tricky summoning? There are just so many possibilities. Although Forgotten Pacts is next up for Frostgrave, I thought people might enjoy a look at the cover for the first supplement for 2017! 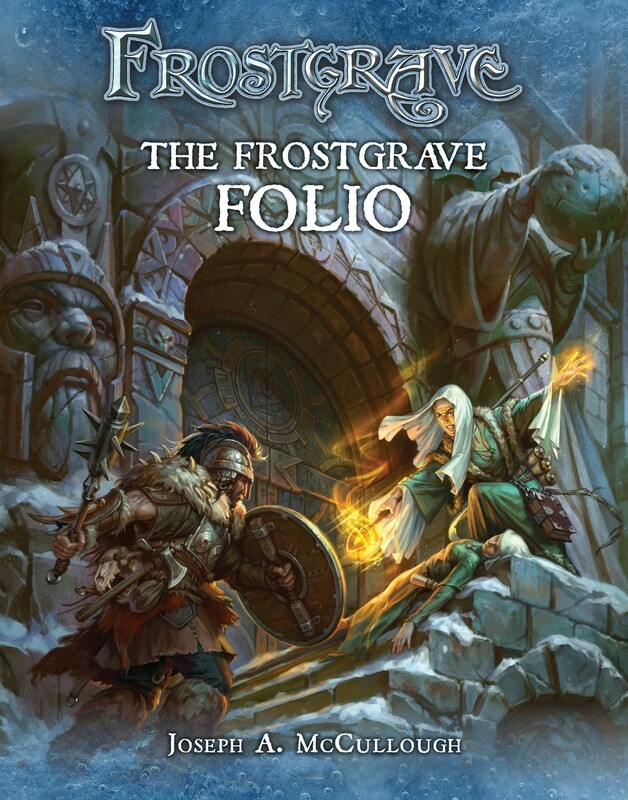 The Frostgrave Folio collects all of the previously released ebook mini-supplements along with a new mini campaign and presents them in print for the first time!